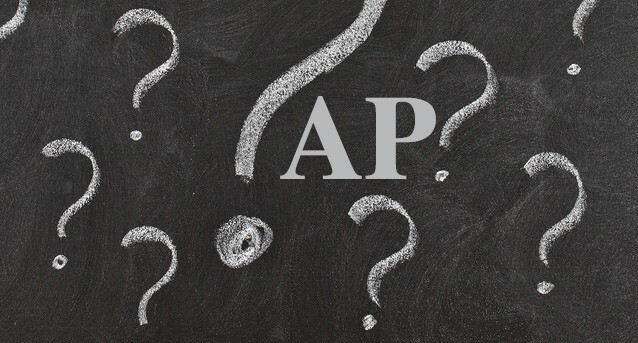 AP — Advanced Placement — is the first name that comes to most people's minds when they think about college credit courses in high school. But the courses may not be a good as their sales pitch. The fact is, lots of colleges don't give wholesale credit to students who pass their AP exams. And the way teachers are forced to present the material can be constraining. Those are reasons some top flight private schools are dropping their AP classes. Meanwhile, a major battle is raging over AP's decision to begin its world history course in 1450 AD — meaning the "world" would pretty much be boiled down to Europe and the U.S. along with a host of minor players. The folks who create U.S. News & World Report's high school rankings may think the best, in fact the only way to judge school quality is by counting the number of AP, or IB (International Baccalaureate), courses students take and how well they do on the final tests. But others have their doubts. Advanced Placement courses are created by the nonprofit College Board, which is also responsible for SAT exams. College Board designs the courses, but more importantly, it sends out the end-of-the-year tests which determine whether students earn college credit. That puts pressure on high school AP teachers to stick closely to the set curriculum and make sure to cover all the topics and minutiae which are likely to crop up on the test. AP teachers are in an academic straitjacket, and students are forced to put too much emphasis on memorizing facts and figures, often at the expense of a more conceptual grasp of the material. A sidelight: The high school where I taught made the decision not to use AP or IB courses. We contracted with local colleges and universities to grant college credit through their institutions. The teachers had control over the curriculum and made the decisions about who deserved college credit for the courses. I never heard a college complain about lack of preparation of our graduates, nor did I hear graduates say the coursework wasn't college level. The lack of AP courses on student transcripts didn't stop them from getting into some of the country's top colleges and universities. Here's the decision made recently by some well-known private schools in Washington, D.C. Seven prominent private schools in the D.C. area plan to eliminate Advanced Placement classes over the next four years, asserting in an unusual joint statement Monday that the program has “diminished utility,” is not necessary for college-bound students and puts too much emphasis on speedy absorption of course material and memorization. . . . The latest dustup over a specific AP course comes with a change in its World History curriculum. The world begins in 1450 AD in the new course, which leaves out everything from the Neolithic Era and the introduction of agriculture to classical Rome, Greece and China to the Islamic Caliphates and Medieval Europe — just to mention a few omissions. The AP decision is as understandable as it is ridiculous. The old course covered too much ground for a yearlong course, especially one with a standardized test at the end. The College Board is creating a new series of world history courses which begin earlier, but that will mean schools have to spend more money to buy the new courses, and it's unlikely many college bound students will be able to fit them into their tight academic schedules. So if schools continue with going the AP World History route, the dawn of time will be the beginning of the War of the Roses. A few decades later, the Nina, Pinta and Santa Maria will set sail to discover a land which was already well known to its inhabitants. The World History dilemma throws a spotlight on a major problem with the AP courses. Teachers have a vast amount of material to choose from when they create their courses. They have to decide what to emphasize and the best way to present it to their students. The AP courses hijack those decisions from teachers, creating a nationwide, standardized curriculum for our top high school students instead of giving teachers the latitude to adapt the material to what they think best suits their students. Every year, somewhere in the neighborhood of 1.2 million high school graduates in more than 22,000 schools have taken at least one AP class, so Advanced Placement coursework isn't fading away anytime soon. But it is beginning to lose its luster, along with the College Board's SAT tests which are being dropped from the entrance requirements of a number of colleges and universities.